Employers are facing workplace retention challenges with increasing regularity. Whether this is the result of a shift in generational norms or a strong economy, employees seem to be more mobile than ever before. In light of this trend, employers are searching for ways to incentivize employee retention. Strong employee retention is important for any organization’s stability, growth, and success because high employee turnover increases overhead costs, lowers productivity, and harms company culture and morale. Looking at costs alone, recent studies have shown that the cost of recruiting a new employee can be as high as 200% of the former employee’s salary. What is an employer to do in response to this trend? In today’s employee-friendly job market, employers seeking higher retention rates should consider looking beyond traditional benefit and compensation packages (i.e., healthcare coverage, paid vacation, and retirement packages) for solutions. To enhance retention of employees at all stages of their careers, one possible solution is allowance of alternative work schedules. Younger employees are increasingly requesting flexibility to work different hours or telecommute, overturning the traditional workday. For mature employees, phased retirement plans allow employees to enjoy job security while slowly adjusting to retired life. With respect to benefits packages, employers could consider adding extended maternity and paternity leave, unlimited vacation policies, wellness programs, investment planning, tuition assistance, professional development services, and other informal benefits. Another creative option to consider is a form of a long-term bonus or incentive compensation structure. Rather than an incentive structure that pays out on a monthly, quarterly, or even on an annual basis, some employers are implementing long-term plans that incentivize employees to remain with an organization for several years. These plans can be structured in such a way to defer payment into the future and condition payment on an individual’s continued employment with the organization in good standing. When these policies are implemented properly, employees not only are incentivized to stay with the same organization over the course of their career, but are often less stressed, more committed, and more productive. 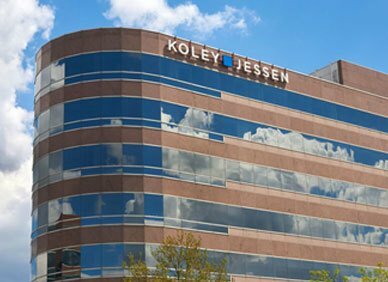 Please contact a member of Koley Jessen’s Employment, Labor & Benefits Practice Group if you are interested in exploring any of these options.